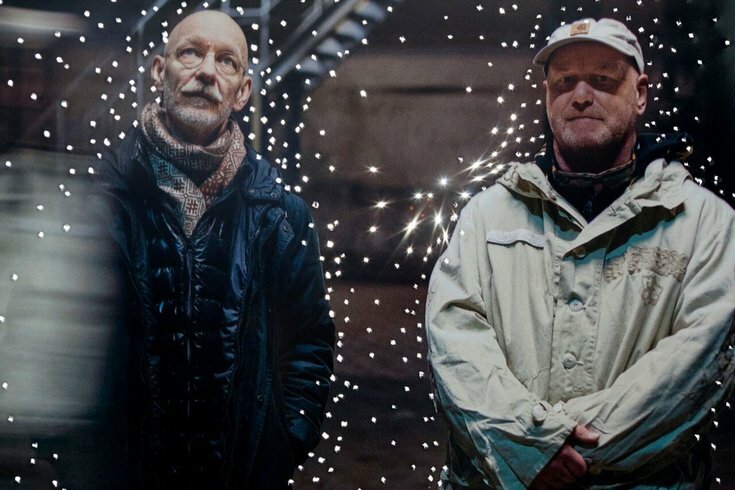 Thomas Fehlmann and Alex Paterson of The Orb. Every Monday, noted song expert K. Ross Hoffman presents five fresh specimens for your consideration. For those of you who could use some calm and relaxation this week, this installment focuses exclusively on music that can be broadly described as ambient. Let's start dark and move toward the light. With a title like that, it’s no surprise that this sobering emotional centerpiece of the new album from Cleveland synthesizer maven Hauschildt (formerly one-third of the band Emeralds) forgoes the lively, percolating arpeggiations he often favors in lieu of a simple, fragile piano motive, cycling continuously through a frosty dronescape that morphs from mournful choral tones to a towering, funereal apotheosis. It’s formidable stuff – decidedly austere, even grim, but also oddly comforting in its twinkling, celestial way. This rather different approach to piano-melody-plus-electronics is from “Statea,” a collaboration that finds the Mexican electronic composer/producer Murcof (Fernando Corona) and French classical pianist Wagner reconfiguring works by several giants of 20th-century minimalism and experimental composition: Cage, Pärt, Satie, Ligeti, etc. The pair’s take on Aphex Twin’s beloved piano miniature – not as much of an outlier as you might imagine – augments and distorts the tidy, two-minute original, beginning with an attenuated, half-time rendition that sets up a sort of hovering, aqueous suspension, making the full presentation of the melody, when it finally appears (with some gentle, glitchy tweaks) seem even more poignant than ever. Robin Saville and Antony Ryan titled their 1998 debut album “Beautronics,” and that portmanteau remains an apt evocation of what the British duo – collaborating remotely across the North Sea, as Ryan is now based in Denmark – continue to create together: some of the warmest, prettiest electronic music in existence. This typically amiable, melodic nugget from last month’s “Glass Bird Movement” – their first LP in six years – is cut from familiar ISAN cloth: homespun, hand-woven, and just right for cozying up with. In 2013, digging deep into the oft-maligned and/or forgotten history of this music, Light in the Attic records released the fascinating, quietly revelatory anthology ”I Am The Center: Private Issue New Age Music in America, 1950-1990”, which among other things featured some fantastic unicorn artwork. Earlier this month they followed it up with “(The Microcosm): Visionary Music of Continental Europe, 1970-1986,” which among many sumptuous, luminous soundscapes features this 1978 outtake from the French-born multi-instrumentalist Kalma; a sweetly unhurried, extemporaneous-feeling meander of (as the title suggests) guitar and (Farfisa) organ, intermingled with rainforest field recordings made in Borneo by the sculptor Richard Tinti. Like a surprising number of artists featured on the compilation (including heavy hitters like Roedelius and Vangelis, who released a new album in September), Kalma is very much still active: he gave a magical performance last summer at Bartram’s Garden.